Yona and her friends have taken to calling themselves bandits and have been protecting Fire Tribe villages from cruel government officials. Meanwhile, Kang Tae-jun, the Fire Tribe chief’s second son, goes to Katan Village with orders to eliminate the bandits there. He still believes that he’s killed Yona—but suddenly, he hears her voice! What will happen when they come face-to-face again? This volume features one of my absolute favorite examples of character development in a manga. Tae-jun started off the series as a forgettable, self-absorbed noble who didn't care remotely for anyone but himself. But now...well, just read and find out! All I'll say is Tae-jun's redemption arc is magnificent! We also get to see Yona coming into her own as she fully embraces and brings aid to the poverty stricken lands of the Fire Tribe. She is also very patient with Tae-Jun as he begins to explore this unknown world of sickness and struggle, because she understands his point of view as well. We can definitely see her becoming more worldly at this point. This is one of my favorite volumes in the whole series so far which is saying a lot! I love this manga so much! The characters and plot development are so well written, and the artwork is phenomenal! I have my fingers crossed that we get many, many more volumes! A red-haired princess loses her family and her kingdom... Now she must rise and fight for her throne! Yona and her friends head out in search of a crop that can grow in barren land. On their travels, Hak becomes filled with grim determination while training Yona in swordsmanship. Yona notices that he's acting differently and tries to cheer him up, but what Hak does next leaves her stunned! 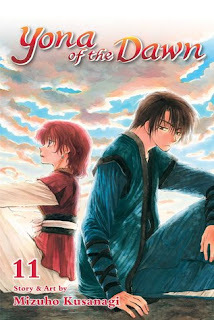 This volume has a perspective twist and it’s focused around Hak and how he feels about their circumstances. And we get another backstory chapter! This flashback again shows exactly how much Hak, Yona, and Su-Won cared about each other, making Su-won’s betrayal that much more painful. I think we sometimes forget that Hak was just as affected by his betrayal as Yona was. He and Su-won were good friends too. Then there’s the issue about Hak’s feelings for Yona. Hak is going to be the death of me! The romance element of this manga is finally getting some page time and I AM HERE FOR IT. Am I the only one screaming for them to kiss already? Then again, I've been wanting that since like volume three. As much as Yona has grown throughout this series, I still want to shake her at parts. I think she is FINALLY starting to realize that Hak has feelings for her. This story arc is a bit slower paced because our heroes taking a break in a village, but character-wise a lot progresses in this volume. I just need the next installment in my hands! I want to know what is going to happen next! 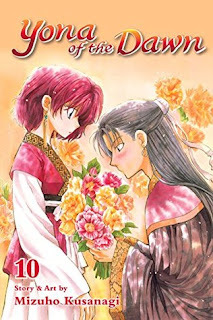 I might riot if Yona ends up with Su-won though. Bakugo’s abduction by the League of Villains was a carefully calculated move designed to draw out the Heroes—All Might in particular—and destroy them. 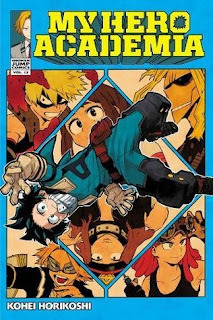 Midoriya and his friends set out on a rescue mission that eventually pulls in not only All Might but also several other heroes! 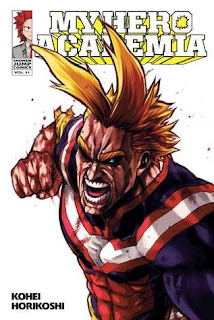 The casualties mount, until at last the mastermind of the plot appears—the only villain powerful enough to go head-to-head with All Might and possibly win…All For One! This series just keeps getting better and better! The fight I've been waiting for has finally arrived as One For All vs All For One comes to its epic conclusion. As well as highlights All Might's as a hero, a teacher, and a person. Guys. I just really, really love All Might. 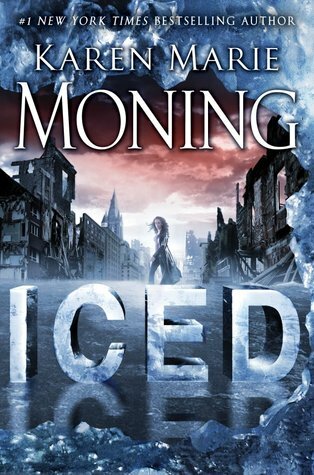 This volume was a fast-paced race to the end of the current arc. It was filled with battles and we're starting to see some of the fallout from the numerous villain attacks on UA. It was intense! I was at the edge of my seat the whole time! I almost had a heart attack will reading it. It also marks a turning point in the series, I think. I also think this volume will act as an amazing prelude of what’s to come because things have changed for our younger generation of heroes. It might be the end of the current arc but it really feels like a beginning. I'm curious to see where the story goes from here. And as someone who love the anime just as much as the manga, I'll be the one of the first to say that I really can't wait to see this arc happen in the anime! It's going to be epic! Class 1-A is working on developing their ultimate moves—a process that will test their strength and creativity in all-new ways! To help them out, Mei Hatsume, a student from the Support Class, is brought in to develop improvements to their costumes. The attention from Mei might be more than Midoriya can handle, but he’ll need every edge he can get to pass the next hurdle for the students of U.A.—the Provisional Licensing Exam! This volume was definitely a lot more laid back than the last one which was probably a good thing for my heart after the excitement of the last volume. I love how more and more characters keep getting introduced as the series progresses! In some series, the large casts can get confusing and the characters can begin to feel one-dimensional. What I love a lot about My Hero Academia is that each character feels fully realized even if it takes a few volumes to learn more about their backstory. Each of them have such unique personalities and awesome powers. I can say that genuinely like/love them all! Well, except Mineta who, in my opinion, can go die in a ditch somewhere. Honestly, I love the direction the story is going! The action just keeps coming and the characters are constantly developing. With the introduction of new characters, the world feels larger in this volume. Things are no longer revolving just around U.A. High, its students, and the handful of pro heroes that teach there. The art in this series is simply amazing! The small details are what really makes this manga so fun and special. Like the book on how to teach which sticks out of All Might’s back pocket made me chuckle a bit. The thing is those small details give us so much insight into the characters and really add to the storyline. That book in All Might's pocket show that not only is he trying to become a better teacher, it shows that he understands that he has some shortcomings that need to be resolved. These moments are subtle and small but they show us so much! My Hero Academia just keeps getting better and better. There is always something going on that keeps me interested and that is why this series is one of my all-time favorites. The Licensing Exam is far from over and I can't wait to see what happens next!